This year I'm so excited to one of the lucky bloggers chosen to take part in Phase Eight's Advent Calendar Giveaway Competition, where each blogger hosts a giveaway of one of Phase Eight's gorgeous accessories, every day leading up 'til Christmas. Fun, right? Today, Wednesday 10th December, is my allocated day and for 24 hours I'm offering you the chance to win this stunning pewter Bo Necklace worth £30, which goes beautifully with casual and dressy outfits to add a little extra interest. Perfect for the festive season! Please see Phase Eight's blog post on the Advent Giveaway here and ensure that you carefully read and understand the full terms and conditions here. Please also note that the giveaway is open to UK participants only. The competition runs for 24 hours on December 10th, so do be quick and enter between 12am and 11.59pm, when the giveaway ends and I choose a winner at random. If you're the lucky winner, I'll be in touch so that your prize can be sent out as soon as possible. SUCH a beautiful piece, I'm going to have to enter mostly because well done you for being chosen! so sad I missed the giveaway! 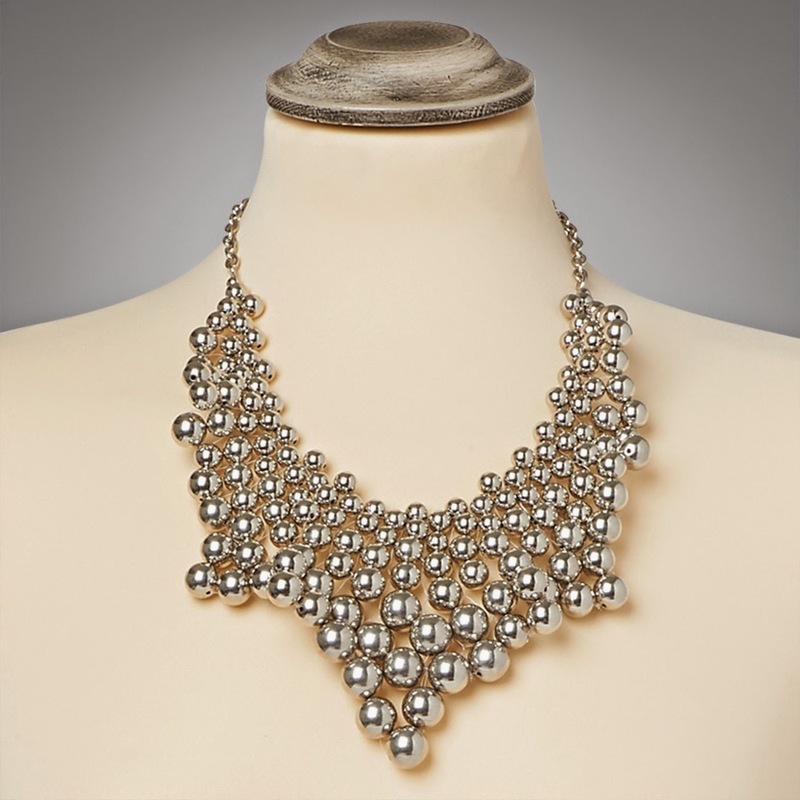 such a gorgeous necklace!